This deluxe and stylish hand tied is hand made by our talented and experienced team of florists with lots of love and care. 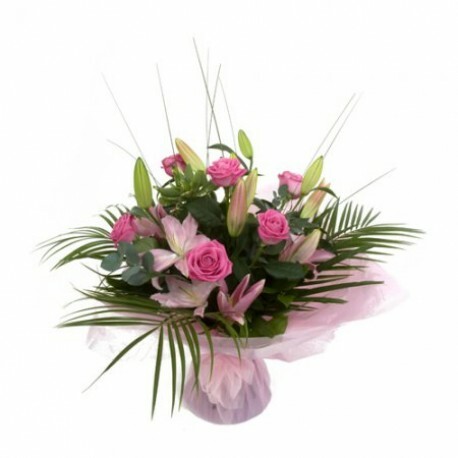 It is made using stunning bold pink roses and fragrant pink lilys with lush green foliage. Other colour choices are available.